Posted on November 25, 2015 at 2:47 pm. To celebrate the release of the new NetEnt anime themed pokies game, Koi Princess, Guts.com is giving one lucky player the chance to win an once in a lifetime trip to Japan valued at $6,000. From November 24-29, playing Koi Princess at Guts for real money bets will bring you one step closer to a trip to the Land of the Golden Sun. For every 20 spins placed on Koi Princess with a bet of at least 0.20 cents per spin, you’ll receive one raffle ticket to the major prize draw. A total of 50 tickets can be earned per player per day during the promotional period, so the more you spin, the greater your chances of winning. Koi Princess is available for both desktop and mobile play so you can spin on the go to make sure you get your 20 spins in per day. Guts previously offered $310k in cash prizes for its member last month, so it would be wise for all players to jump in on this next comp for an equally amazing prize. If you’re new to Guts register for an account and you’ll also receive up to $400 in welcome bonuses plus 100 free spins to get you started. 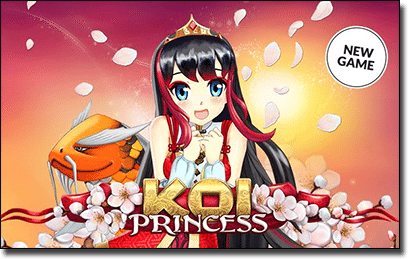 Koi Princess is a five reel, three lined video pokies game that uses beautiful Japanese imagery pulled off in cool anime style. In hindsight, it’s kind of strange to think it took NetEnt this long to come up with an anime influenced game given the dedicated following this Japanese form of animation has with gamers. Koi Princess is filled with all kinds of stunning Oriental symbolism, decked out with golden dragons, cherry blossoms and koi fish as the lovely Sailor Moon type princess stands coquettishly to the side of the reels. 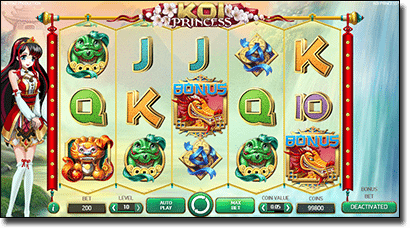 Along with the striking animation, Koi Princess is packed to the brim with bonus potential, including wild symbols, scatters and a bonus feature that will award either free spins, wild reels, coin wins or a chance to spin the bonus wheel. This game is sure to be an immediate favourite with anime lovers and another win for the legendary developers over at NetEnt. Head to Guts.com and play Koi Princess for real money bets of at least 20 cents per spin and you could be on your way to Tokyo.